I’m a massive fan of the cooler weather. It’s the only time that I can really layer up and not feel too hot! 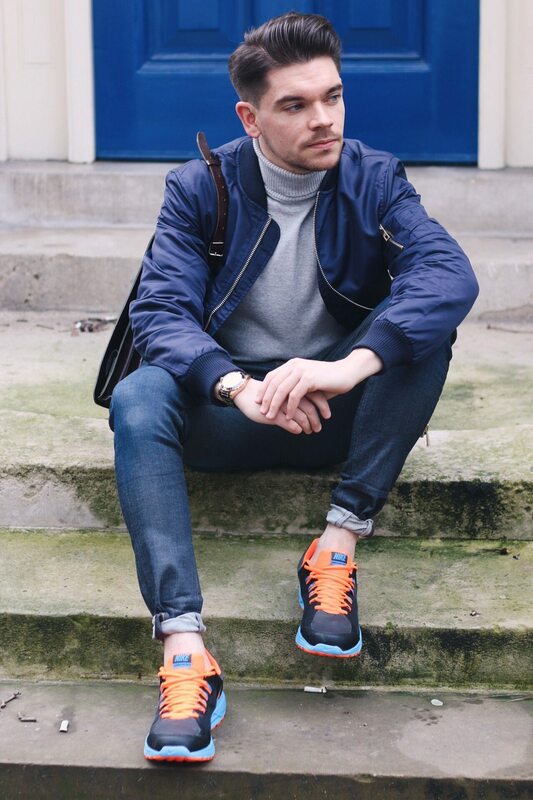 I’ve wanted a bomber jacket like this for an age. I’d been looking at ones in vintage stores and high street places like Topman, but it was River Island that had this beauty. I normally wear a small size for a snug fit, but wanted to wear this one slightly bigger. 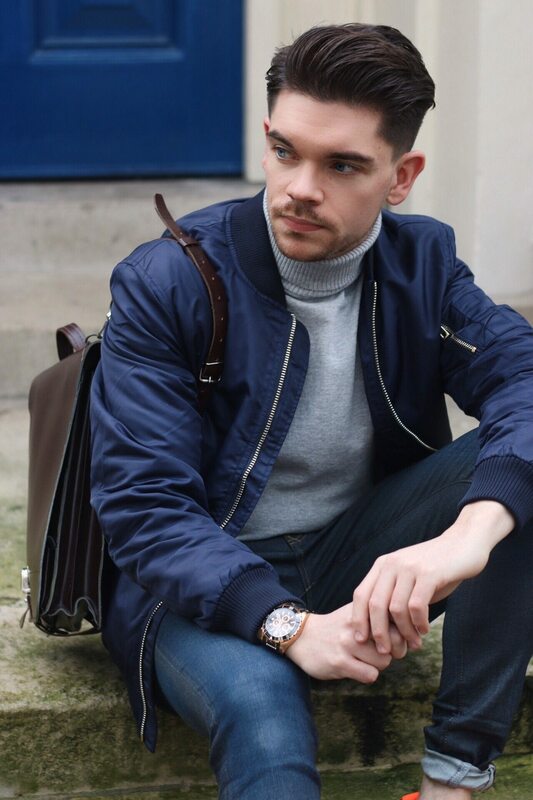 Worn over a grey roll neck, it’s the juxtaposition of smart and casual that I love. 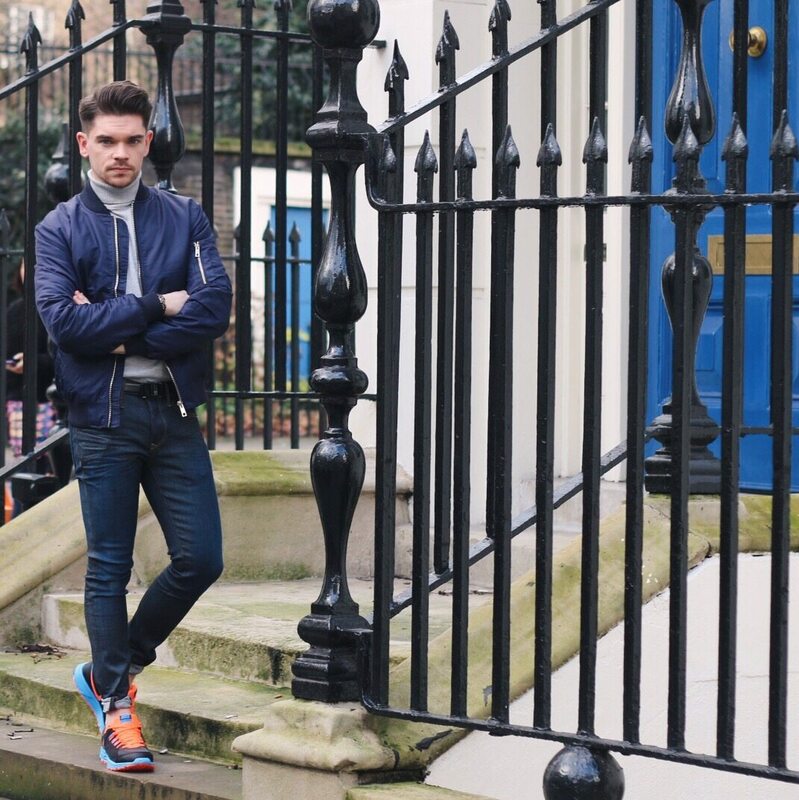 With stretch skinnies and bright orange and blue Nike trainers, it’s bold but not over the top… like some of my outfits! I’m hoping to do more outfit posts like this on my blog. What do you think? Also, all feedback is great, so please do leave a comment below. Satchel – I found this satchel under my desk when I worked at ITV. I have no idea whose it was… but it was under my desk for 2 years!